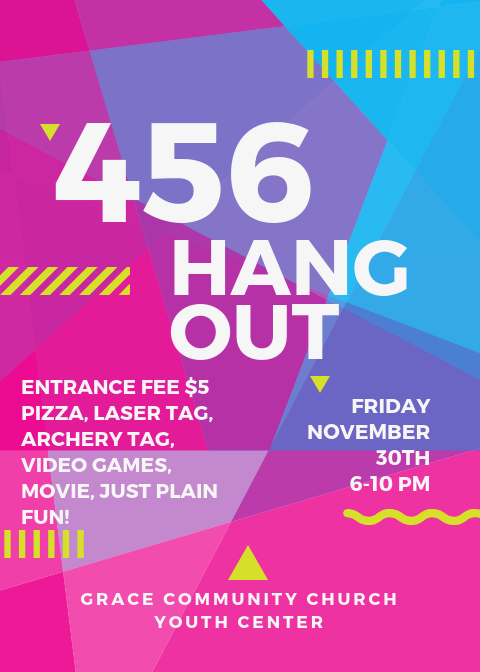 This Friday, November 30th from 6-10pm in the GCC Youth Center we are having the 456 Hang Out! We will have pizza, laser tag, archery tag, video games, etc. It is going to be a great night of fun and fellowship. Email Pastor Tannan at tpeters@gracecommunity-church.com if you are planning on having your student and their friends at this event. The cost at the door is $5 per student.